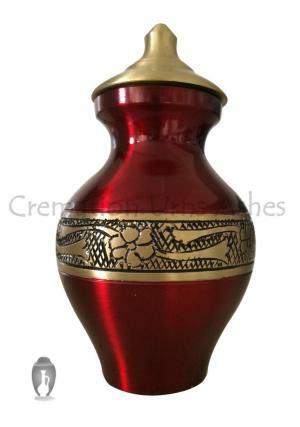 This is a unique urn and the colour is definitely something that will make it stand out. 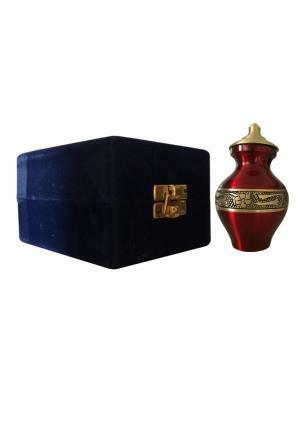 This urn is a very good option for anyone who wishes to create a memory of someone who lived life to its fullest and had experiences that can be told down the ages. 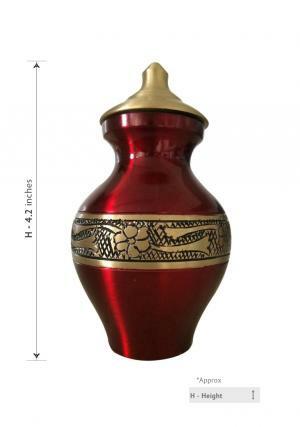 With the major colour being red, with gold shimmering in the middle of urn, and is all of 4.2" inches height. 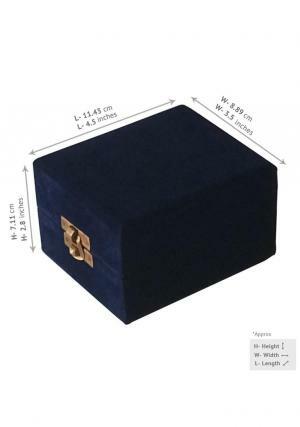 It comes in a velvet box, so the buyer can decide whether they wish to display it in a display case or store in a box. The matt finish gives it a different look, making it one of the most unique products that we have on offer. 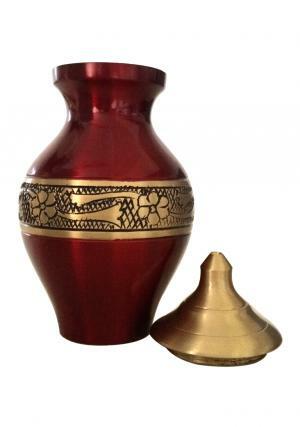 We offer the best products, at the cheapest rates in the current market. 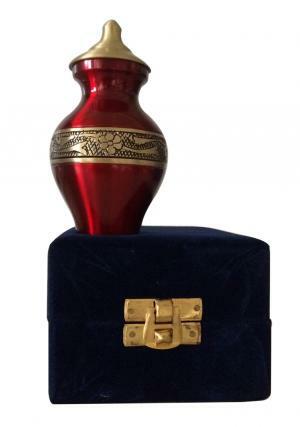 We also have an exchange policy for the unused urns. Along with this, we provide free shipping for all of our products, with clearance discounts occasionally. The website is completely secure, so the customer no need to worry about carrying out a secure financial transaction via our website.